A popular North-east establishment has announced it will be open to the public this weekend. No.10 Bar & Restaurant, which has recently undergone a major refurbishment to create a large new restaurant, will officially be open for business this Friday 16 October. 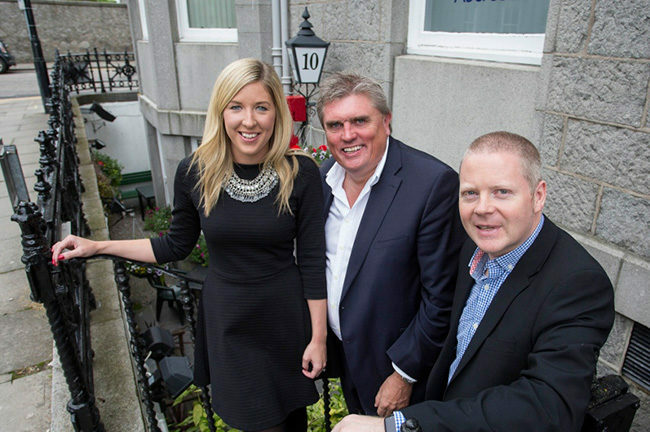 Located in the heart of Aberdeen’s West End, No.10 has been transformed over the past three months following a significant six-figure investment to expand the venue into its neighbouring building and redevelop its bar area. The new and improved No.10 Bar & Restaurant, which has been designed by award-winning architects, Nicoll Russell Studios, will provide the city with a relaxed yet sophisticated dining experience with stylish surroundings and a traditional, yet contemporary menu to match. The restaurant also boasts a glass-fronted private dining room for up to 14 people which can be used for private celebrations or corporate events. No.10 Bar & Restaurant, based at 10 Queens Terrace, is now taking bookings for their soft opening. Please email info@no10aberdeen.co.uk or call 01224 631928 to enquire.